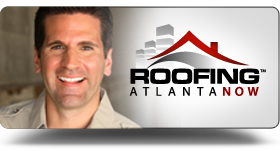 Atlanta Commercial Roofing is a very hectic industry. Our commercial roofing professionals have been hard at work satisfying the explosive growth of area businesses since we started in 1996. The greater metropolitan Atlanta area is one of the top business-centered regions in the United States, along with being a major transportation hub for the southeast. Consider the fact that we have almost one-fourth of the Fortune 500 companies, and more than three-quarters of the Fortune 1000 companies, right here in our backyard and you will understand why commercial roofing is such a busy enterprise. Our company is continually servicing buildings of all ages on a daily basis. When it comes to commercial roofing, Atlanta has some of the nation’s most knowledgeable experts in the field. Our Atlanta Commercial Roofing division is highly experienced in commercial property assessments, along with the repair and replacement of various styles of roofs. Our staff has a thorough knowledge of the variety of roofing materials commonly used in our geographic area. Whether your roof consists of single ply systems, TPO’s, EPDM’s or even spray foam roofing, we have the ability and the machinery to patch it, repair it, or replace it. Having a thorough knowledge of roofing materials, the labor and the tools is still not enough to match our long-held reputation. Our Atlanta Commercial Roofing division also has the most competitive pricing along with good turnaround times. We have the right people to perform the initial assessment to determine what steps should be taken to recover your commercial roofing in Atlanta. In an emergency, our fast response time allows us to go in and initiate temporary measures to save your property and inventory from excessive losses. When the situation permits, we can then go in and perform the necessary work to replace or recover your commercial roof. We can work to match your original style, or upgrade to your new preference in commercial roofing. Business is our business; we’ve been here a long time and realize that Atlanta has been a center of commerce and can trace its roots as a hub to the opening of the transcontinental railroad. This has placed us in good stead for both big businesses and small companies. Whether your company is doing business in Stone Mountain, the Downtown or Midtown area or Buckhead, we are able to offer our expertise in Atlanta Commercial Roofing. Our area is known for its hot humid summers and abundant rainfall throughout the year, which can adversely affect flat roofs on many commercial buildings. Infrequent ice storms can also cause major problems. We are able to step in when the need arises to secure your property. Our Atlanta commercial roofing division has received its share of positive testimonials for the work we have done over the years, and we are proud of our contribution to the health and growth of our local business community. As a licensed, bonded and insured Atlanta commercial roofing company, we understand the basic needs of our fellow business owners when it comes to budgeting and getting their money’s worth. That is why we have established a policy of high-quality work at competitive prices. Regardless of the number of bids that are placed on your desk, don’t make a decision until you have had a chance to see what we can offer your company. Whether you purchase the real estate for your own business or you’re leasing space out, you will want to ensure the security and increasing value of your property. Neglecting to take care of your roof is like scheduling a day in the near future, which you will devote to burning your money. Whether your commercial roof is flat or sloped, asphalt, concrete or steel, it will need annual maintenance checks. If you commit to this single practice, you could possibly increase the life of your roof by decades. Our fully licensed and qualified commercial roofing specialist will examine your property intent on careful examination for future problems. Roof inspections should not be an afterthought, but a mandatory checkup at least once a year. You should conduct a proper roof inspection after any major storm or sign of leaking. We will immediately come out and test the integrity of your roof’s construction. Heavy winds can bring down large branches onto your roof. Even heavy rains or ice storms can take its toll on a roof that is showing its age. After our comprehensive inspection, we deliver a thorough report on the health of your commercial roof. If there is any cause for repairs, we can develop an estimate for you to evaluate and consider. Once you see our competitive pricing, you’ll see that all the numbers add up in your favor. Aside from maintenance and repair, we also have the capability to replace your Atlanta commercial roofing. Some business owners use this as an opportunity to upgrade from their current style. For many, the numbers show an increase in energy conservation. Competitive pricing tips the balance sheet in favor of the construction and long-term investment of your infrastructure. We handle a lot of materials for commercial roofing construction here in Atlanta. Below is a short list of some of the areas we cover for our commercial clients. Contact us today if you’re looking for new commercial roofing construction or replacement. We can help you with retrofitting, patching or any major repairs. Whether you are working in an office complex, or a large industrial building, we can supply the materials, equipment and expertise for your roofing job. Our commercial roofing Atlanta technicians are ready to offer assistance to both you and your business. We will be happy to come out and provide you with a Free On-Site Roof Inspection, or to give you a competitive quote for a commercial roof repair, a yearly commercial roof maintenance plan, or a commercial roof replacement. We carefully go through all the steps necessary for getting your roof repaired or, if need be, newly installed. Our contractors will offer you a very competitive bid and work out a production schedule that works for you, your employees and your business. 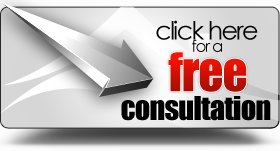 Call us today at (404) 201-2516!